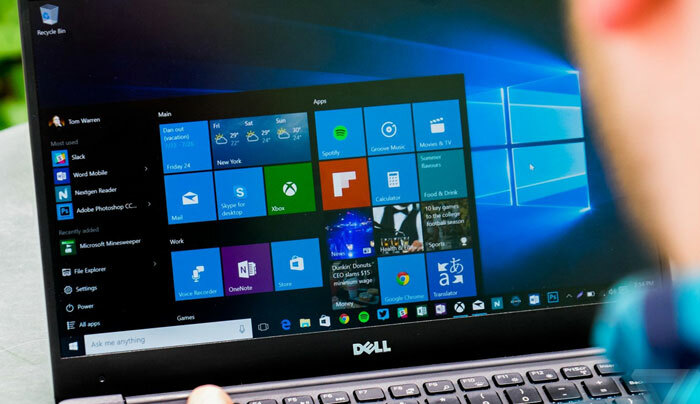 Anyone who has had to buy a PC over the last few years will likely be aware of slimmed-down versions of Windows that have been foisted upon (usually) lower end systems like Netbooks and Cloudbooks. These Windows versions are usually limited in some way, such as the scope of their hardware or software support. Now it looks like Microsoft is readying another cut-down version of Windows, dubbed Windows Lite. Windows Lite is purposed to be a Chrome OS competitor and Microsoft seems to have cut things out, and even made big changes to the UI to target this user-segment. MSPowerUser claims that Windows Lite will only be able to run Windows apps that are available in the Store. However, it won't foist a tile-based Start Screen upon users like you might immediately expect. Live Tiles (or any tiles at all) have been vanquished entirely from this Lite OS. showing the Windows home screen with minimal stripped-back Start Menu clicked open. With the news of Live Tiles being phased out in any of Microsoft's OSes, Windows Central asks "are Live Tiles dead?" 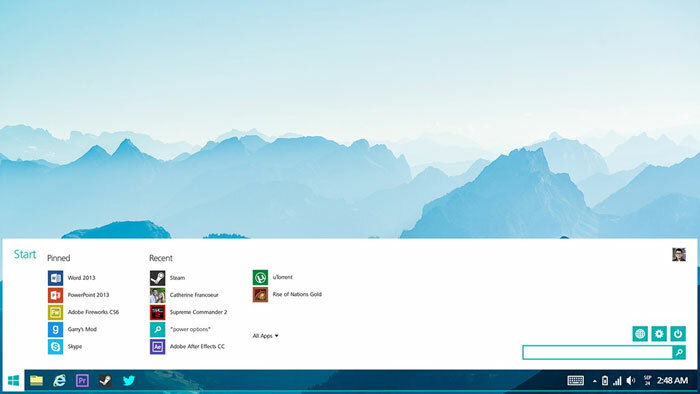 Zac Bowden, the author of the piece, says that Microsoft has neglected Live Tiles over several Windows generations, and this latest initiative – removing Live Tiles altogether from one upcoming Windows SKU – will impact upon developer support for such glanceable app icons. Bowden adds the reasoning that Live Tiles were great on smart devices, and they formed the waking screen UI every user was presented with. With the demise of Windows Mobile, lack of traction for Windows 10S, and most laptop/desktop users going straight to the old style desktop UI - no one gets to glance any Live Tiles as they are hidden unless one clicks on the Start Menu. Thus, this might be the beginning of the end for Live Tiles. With Live Tiles exiting stage left, it is thought that Microsoft has some new radically different UI ideas up its sleeve. New form factors and technologies such as flexible foldable screens could inspire 'Andromeda' and 'Polaris' UI behaviours and designs. So if your machine has a USB drive or SD card plugged in, it won't be able to update. The only place live tiles made sense was in mobile/touch devices. As soon as windows phone 8 died so should live tiles. Live tiles are not a problem, just right click and select “turn live tile off”. How difficult is that? Exactly and most people don't have the patience to press their right mouse button and complain more unnecessarily. Why is that? We've been using desktop shortcuts for years, live tiles aren't that dissimilar. The weather app makes good use of a live tile.